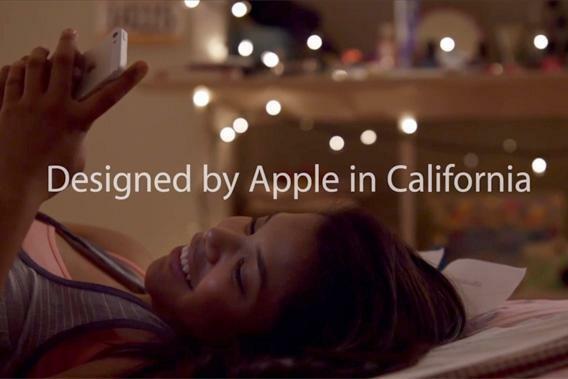 “Designed by Apple in California” ad campaign: Why it’s so terrible. Apple’s new ads make the company look lame. This ad falls into a tired category that I generally despise: the “family of man montage.” Dreamy odes to the whole of humanity—and its propensity to buy our products. But that’s not all that was wrong with it. The ad just irked me from the get-go. I wasn’t alone: The spot flopped. Surveys showed TV viewers rated it far below industry average. It fared dramatically worse than the typical high-scoring Apple ad. This attempt at stirring warm and fuzzy feelings just left folks cold. Apple had been on a long streak of marketing excellence, starting way back in 1984 with its legendary Super Bowl epic announcing the new Macintosh. (You know, the Orwellian one. A lone Mac rebel infiltrates a lobotomized herd of PC users, shattering their dreary conformity.) Apple more recently won plaudits for a series of iPod ads that employed silhouetted dancers, catchy tunes, and some eye-popping color theory. The mid-2000s “I’m a Mac, I’m a PC” series featured actors Justin Long and John Hodgman to great comedic effect, amid a run of rocketing sales. But I spied a crack forming in the façade last year, beginning with the commercials for Siri, Apple’s voice recognition system. The ads relied on a tired trope: the celebrity endorsement. One couldn’t help but infer that Siri needed that dazzling star power, that a mere demo of its capabilities would fail to impress. The hand-picked celebs—especially Zooey Deschanel, who shows off her vintage banjo and orders tomato soup delivered—didn’t help to dispel the twee vibe that has long made Apple haters cringe. Now comes this latest spot. It’s a dire misstep. The worst I’ve seen from Apple’s ad team. Part of the problem is that it burnishes Apple’s brand in general, instead of hawking a specific product. (Which may reflect the fact that Apple lacks new products to hawk. Hey, we get impatient. IPad Mini came out nine months ago!) There’s always a temptation to slip into gauzy boasts when an ad touts your company’s essence instead of its output—faith, not works. And what does Apple want to tell us about its essence? The ad’s in part an effort to draw a contrast with competitor Samsung, which has been eating up market share and taking potshots at Apple. Tech writers have noted the ad’s emphasis on Apple’s geography (North California, not South Korea) and its carefully curated product line (“We spend a lot of time on a few great things”—a sly dig at Samsung’s slew of dishwashers and vacuums). There’s an underlying arrogance, though, to that voice-over copy. “This is it. This is what matters,” the ad begins. Lofty claims for a suite of consumer gadgets. The monologue goes on to crow that, before releasing a product, Apple’s designers ask, “Does it deserve to exist?” Implication: Your Galaxy S4 is a shameful waste of protons. It should immediately be vaporized and disappeared from Earth. But if you’re not yet sold on the Apple vibe, this ad won’t help. The company is taking itself waaaay too seriously. Steve Jobs could somehow get away with terming his creations “magical.” But in the Tim Cook era, with no revolutionary product launches to speak of, and none on the immediate horizon, the last thing Apple needs is a snotty, laurels-resting manifesto. This new ad looks backward. It tells, it doesn’t show. It implores you to kneel before Apple’s past accomplishments. In short—contrary to another old Apple marketing claim—it just doesn’t work.